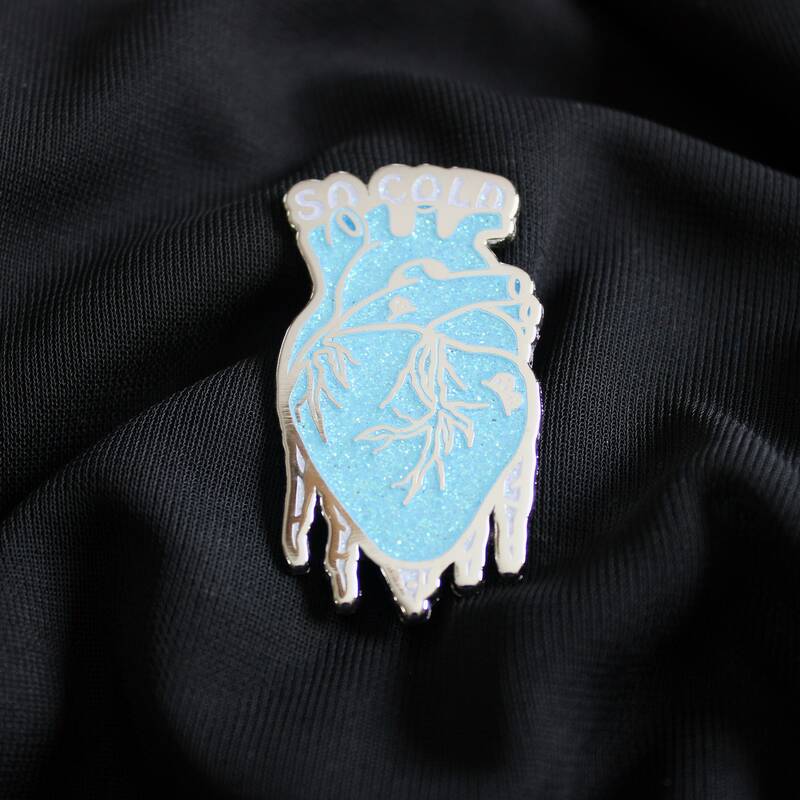 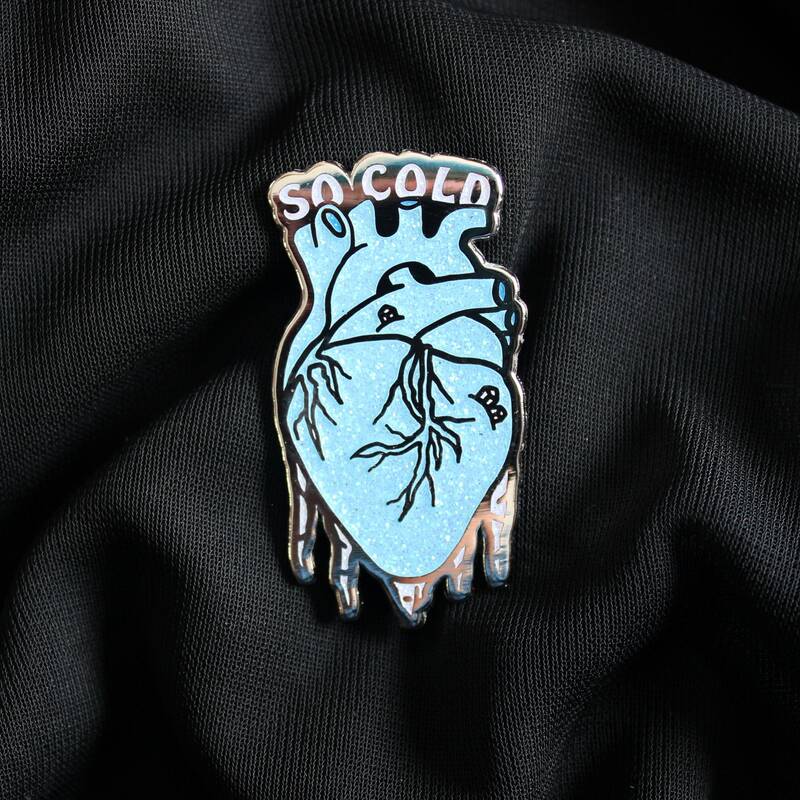 Each hard enamel pin is 2" in size and is set into shiny silver metal. 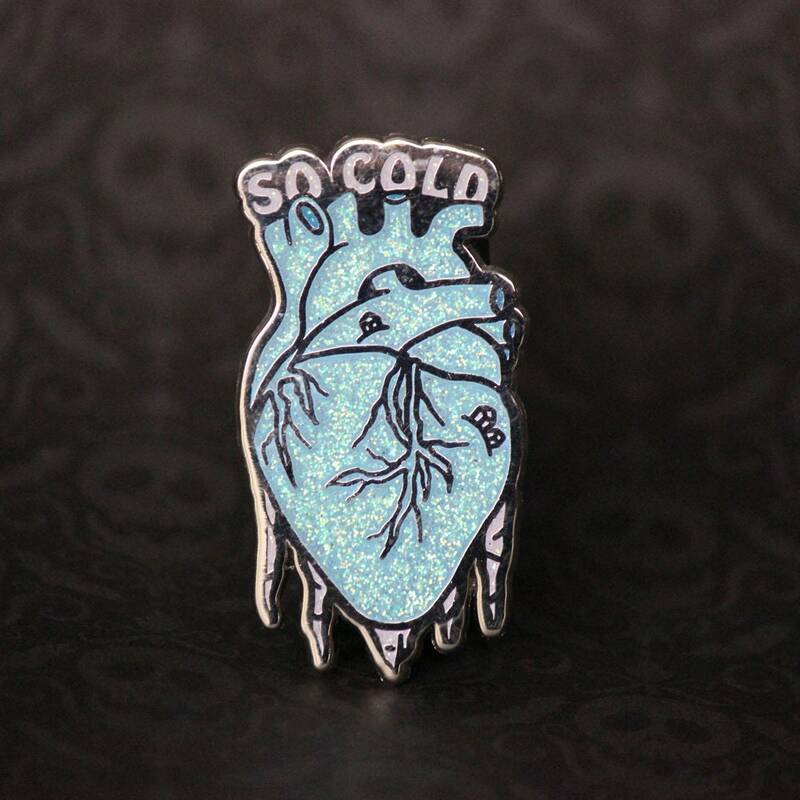 Glitter Enamel. 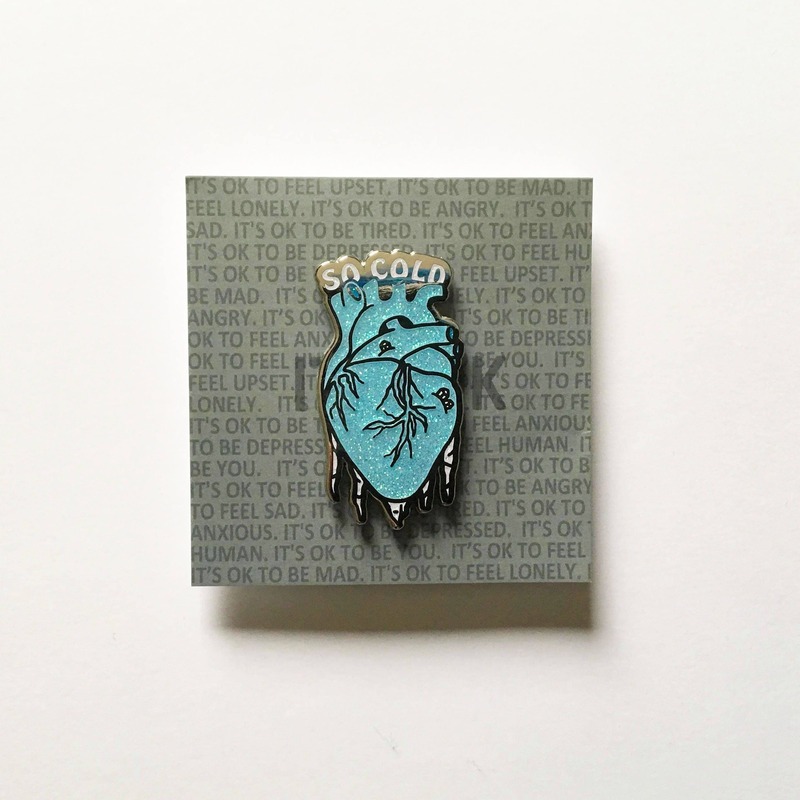 Comes complete with a backer card.